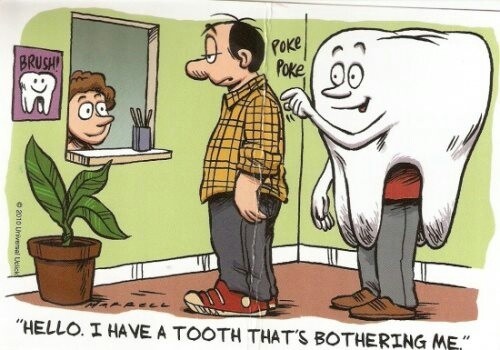 Sometimes things happen when we least expect them and that includes dental emergencies! If you have a temporary restoration, whether it be a crown or a bridge, you may have broken it while eating or it came out entirely. This is an easy issue to fix and NOT a true dental emergency. If the temporary came out and is still relatively in tact - remove the flaky material inside with your finger or even a blunt toothpick. This material is the temporary cement and will come out of the restoration easily. 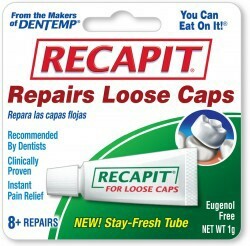 Once it is out you can either use some Vasoline, Chapstick, or Fixodent to replace it back onto your tooth until you can have it re-cemented. DO NOT USE ANY TYPE OF SUPERGLUE!!! Superglue is caustic to your tissues an can injure your pulp (nerve). 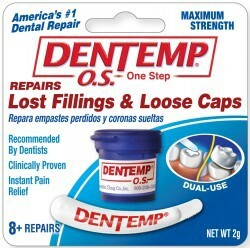 If you are experiencing pain with your temporary off - the best solution is to purchase dental cement from your pharmacy and put your temporary back on with copious amounts of material to ensure it covers all the surfaces that could be exposed to food or drink. Not placing your temporary back can/will allow your tooth to move and prevent your permanent restoration from seating correctly on your tooth. If your temporary is shattered into a million pieces and can not be placed over the tooth, call our office to schedule an appointment for us to make you a new one. As long as you have it placed back into your mouth with 2-3 days you can avoid having an issue placing the permanent crown. 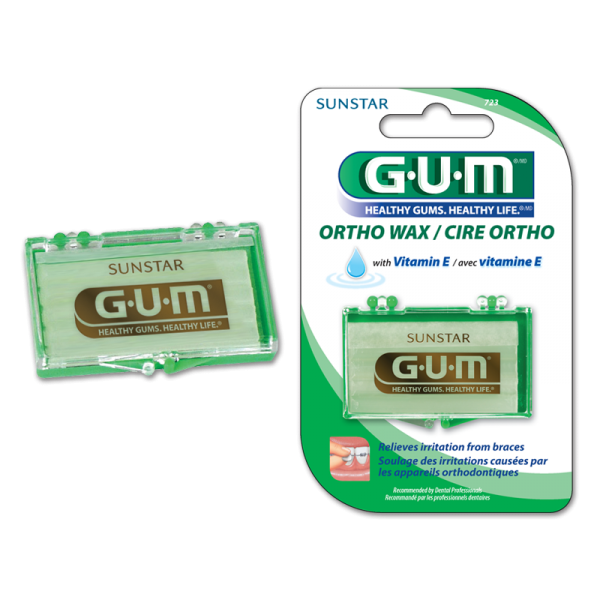 If the exposed tooth is sensitive and it is after hours, you can buy some dental wax at your local pharmacy. 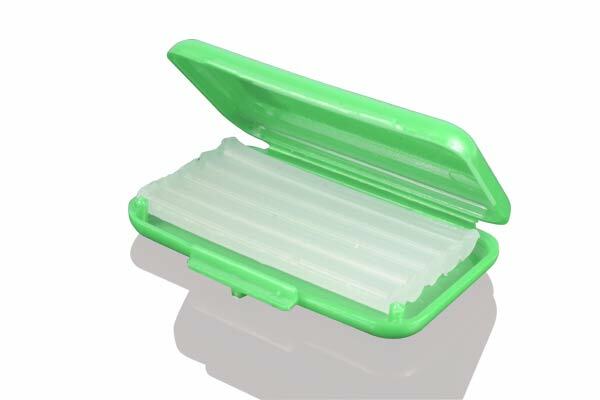 Most dental wax is used for patients in braces, HOWEVER, in this instance you can take a generous amount and mold it over the exposed tooth to keep it covered until you can be seen by the dentist. You're at the restaurant and don't remember ordering anything crunchy in your mashed potatoes... it may be your permanent crown (or bridge)! This is an easy issue to fix and NOT a true dental emergency. You can follow the instructions above to replace the crown/bridge and then call our office during regular business hours to have it re-cemented. Permanent dental cement can break down over years on people whom are rough on their teeth (clenchers, grinders, ice chewers...) and in most cases, these restorations are put back in with no issue! It is VERY common to have minor bruising after more involved dental procedures (root canals, extractions, extensive crown and bridge work). Most bruising that patients experience are from the injections used to numb. These bruises are usually hematomas and are just injuries to blood vessels. Using alternating cold and heat compresses within the first 24 hours helps minimize size; if located in the mouth we recommend salt water rinses to speed up healing. Over the counter medications such as Tylenol, aspirin, or ibuprofen can be used for any soreness. It is recommended not to do any further treatment in that area until it resolves which is normally between 7 to 14 days. Antibiotics are not required. Swelling is more commonly associated with extractions and is the normal response by the body to trauma. Holding an ice pack or a plastic bag of frozen vegetables (which adapts to the shape of the face) to the area can stop the progress of the swelling. Cold should be held on the cheek for 25-minute periods and then removed for 5-minute periods. If swelling persists or increases after 3 days or if pain is severe, an infection may have developed and you will need to be assessed in office. Bleeding after a tooth is removed is common. Bleeding in the mouth may appear worse than it is because a small amount of blood may mix with saliva and appear to be more than is actually present. 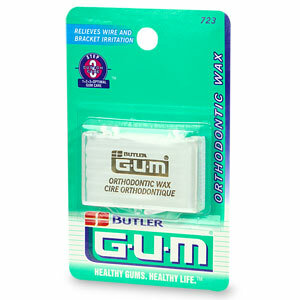 Usually, the bleeding can be stopped by keeping steady pressure on the surgical site for the first hour, by having the person bite down on a piece of gauze. Some people may have to repeat the process 2 or 3 times. Keeping the gauze (or a tea bag) steadily in place for at least an hour is important. Most problems with bleeding occur because the person frequently removes the pack to see whether the bleeding has stopped. If the amount of bleeding present saturates the gauze and it's after hours, go to the nearest Emergency room. The area may need to be cleaned out and surgically close it with stitches (sutures). 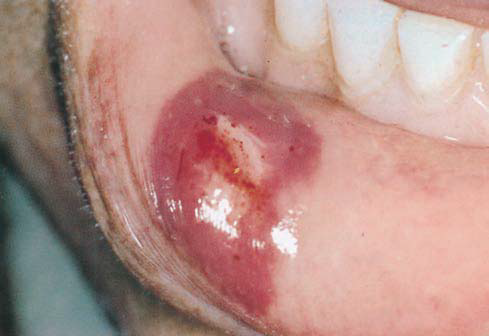 A dry socket (exposure of the bone in the socket, causing delayed healing) may develop after a tooth has been extracted and the normal blood clot in the socket is lost. Typically, discomfort lessens for 2 or 3 days after the extraction and then suddenly worsens, sometimes accompanied by an earache. Although the condition goes away by itself after 1 to 2 weeks, a surgical dressing can be placed in the socket to eliminate the pain. If after hours, rinsing and irrigating the area with salt water (or medicated mouth rinse such as chlorhexidine) can help keep debris out of the socket and taking a pain medication will help until we can see you in office. DO NOT USE LISTERINE! Alcohol is an irritant to tissues and will not help the area feel better. Dry sockets are much more common among smokers. If at all possible, smokers should not smoke for several days after the extraction is done. Women also have a slightly higher rate of developing dry socket. If your dental emergency does not apply to the information above, our after hours service is available to PATIENTS OF RECORD and can be called at the number below. Scheduling, changing, or cancelling of appointments will not be addressed after hours; nor will questions with billing, school notes, work excuses, or clerical issues (example: receipts for work done or referral letters). Our after hour number is 469-267-0499. If your call is not directly answered, please leave a detailed message with your name, phone number, and emergency and we will return your call within 24 hours. If your message relates to a non-emergency issue, it will be returned the next regular business day.